The historic buildings of South Wales are an important part of the region’s heritage and their preservation, when left in the expert hands of construction industry specialists, helps to protect the area’s unique characteristics and undeniable charm. There are around 380 listed buildings in the counties of Glamorgan and Monmouthshire, of which 300 are designated as grade II and 80 are categorised as grade I, and many of these historic monuments will require regular maintenance work to prevent them from falling into disrepair. Those requiring restoration work to be performed on old or unstable buildings, facilitated via the use of temporary support structures, should get in contact with Steve’s Scaffolding. Support scaffolding maintains structural integrity during building maintenance. Preservation work on a building may require the temporary removal of supporting elements, such as the post-and-beam components found in traditional timber framing, which increases the likelihood of a partial or complete building collapse. The erection of supporting scaffolding, acting as a temporary replacement for load-bearing elements, helps to maintain the structural integrity of a building during restoration or alteration procedures. Steve’s Scaffolding, providing support scaffolding in South Wales for a range of maintenance projects, possess the relevant knowledge and experience to install the best temporary support structures to ensure buildings remain standing during conservation projects. Avoiding damage to surface fabric with support scaffolding. The use of support scaffolding in South Wales restoration and alteration projects, although required to preserve the structural integrity of old or unstable buildings, could result in irreparable surface damage to historic structures if due care and attention is not taken during the planning and installation phases. Historic fabric, once damaged by poorly erected scaffolding, cannot be replaced and the long-term consequences of such mishaps to buildings of historic interest can be immeasurable. Steve’s Scaffolding, having assessed the weak points on vulnerable buildings, are able to design and erect support scaffolding that will leave historic fabric intact while preserving structural integrity during maintenance work. 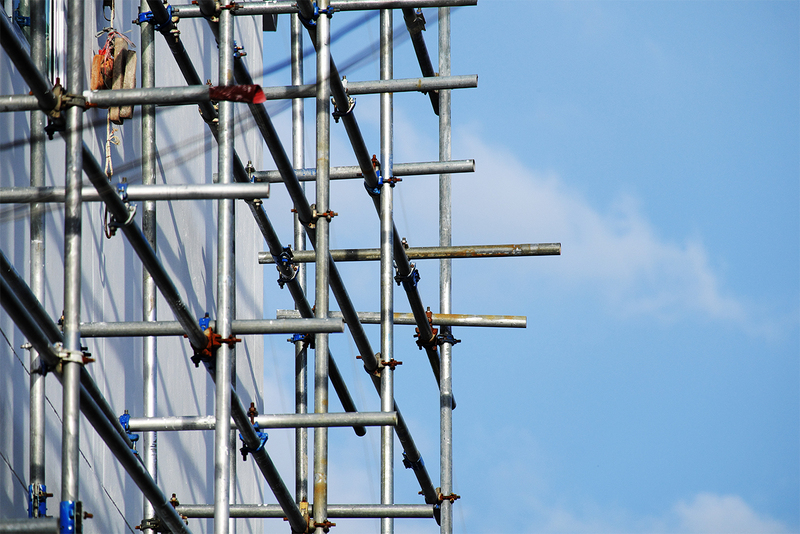 The benefits of hiring experts in the scaffolding industry. Only experts in the scaffolding industry, possessing the relevant experience and equipment, should attempt to erect structural support systems when performing maintenance work on old buildings. Steve’s Scaffolding, having installed support scaffolding in South Wales on numerous occasions, are veterans of the scaffolding industry and are able to install temporary support structures during restoration procedures without damaging the historic fabric of old buildings.